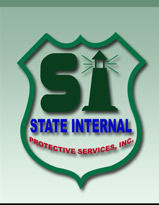 State Internal Protective Services Inc.
State Internal Protective Services, Inc. (SIPS) promises exceptional levels of security services and associated administrative tasks, which can only be provided by a corporation that understands the individual needs of each client. Our dedicated team is passionate about protecting our clients and their valuable property. SIPS provides security services for residential and exclusive private events. Our recruitment process is unique, rigorous, and thorough. We conduct background and credit checks, as well as drug screenings. We also require referrals, and offer competitive pay for every single candidate. a. Protect life and property from criminals, hazards and others conditions adverse to the overall safety. a. Remove opportunities to commit crimes. b. Detect offenders before they are able to create miscellaneous hazards. Designed and Powered by Xumba, Inc.